SiteGround WordPress Hosting is built on the latest SSD hardware. They have built their own caching tool, the SuperCacher, which uses NGINX technology to drastically increase WordPress speed. They offer toughest Security and a free CDN to make your website fly with premium support. WordPress Super Cacher – Static cache with StartUp plan, Dynamic Cache with GrowBig and GoGeek plans. 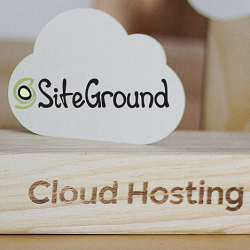 SiteGround offers three WordPress hosting plans Startup, GrowBig & GoGeek. Initially you can start with StartUp plan and explore the features and services of SiteGround. If you are planning to host more than one website, then go for either GrowBig or GoGeek web hosting plan. 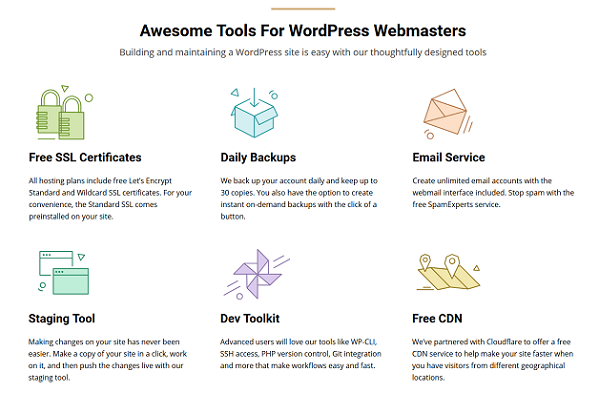 If you choose SiteGround Startup WordPress Hosting plan, you get 1-Click Installer, Auto-updates and WP-CLI enabled command line management option. If you go for GrowBig & GoGeek hosting plans, you get additional SuperCacher ultra-fast speed, WordPress Staging, Git Pre-Installed with 24/7 support and super speed & security. SiteGround has developed in-house tools for fast development and easy management of your website. SuperCacher is available with GrowBig & GoGeek plan whereas WordPress staging and Git pre-installed available with GoGeek plan. How to Get SiteGround WordPress Hosting Deal? This article will help you to start your dream blog with SiteGround Hosting. 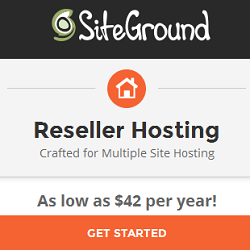 Just go through the steps and screenshots to create your hosting account with SiteGround. 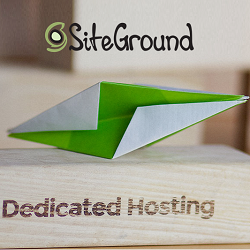 STEP-1: Visit SiteGround website and choose the right web hosting plan for you. Now click on “Get Started”. Note: If you want to see hosting feature in details, click on “See Plan details”. Checkout the features and choose your web hosting plan. Click on “Order” to proceed. STEP-2: If you already have a Domain Name and want to migrate your domain name at SiteGround, select “I already have a Domain” otherwise select “Register a new Domain”. The website migration service worth $30 will be absolutely free with GrowBig and GoGeek plans. Search your .COM Domain Name and click on “PROCEED” to continue. STEP-3: If your domain is available, you will get a congratulations! message else you will have to search another domain. You need to fill your email id and password carefully. This will be your SiteGround hosting username and password. STEP-4: At the same page, you have to fill client information that includes your Country, City, Name, Address, Company (if available), Phone Number and VAT (if available). Now enter the payment information to make the payment. STEP-5: Finally, choose period (12 months to 36 months) and confirm the agreement and newsletters. If you want additional services like Domain Privacy and SG Site Scanner, check both the services before payment. Note: Once all the information filled, review the same and click on “Pay Now”. A confirmation message will appear on your screen that “Your account was successfully created!”. Now you can login to customer area with your registered email id and password. You will also receive a welcome email with your username and password and account management guidelines. Congratulations!!! Your SiteGround account created successfully. Now you can setup your domain and install WordPress on SiteGround.